Thanks, Amberr. We aim to please! I love dark chocolate. A quick question for you is which is the best chocolate French or Belgium? I met a young French woman the other day who grew up in Nice and is now studying at McGill. I told her about our “chocolatour” and it turns out that even growing up in the south of France, she hadn’t heard of Puyricard. They’re quite exclusive. The mendiants hold a special place in my memory as well, Doreen. I remember rationing out the last remaining chocolates from Puyricard when we returned, and sighing sadly when they were all gone. Susan, that’s a big question. I particularly enjoyed the products made by some of the smaller Belgian chocolatiers, the ones Doreen has written about here, but the French make some marvellous chocolate too, and Puyricard certainly falls under that category. Thanks to Kathe and Susan for joining the discussion, and to Kathe, for having joined me on the maiden voyage of chocolate discoveries – which included Puyricard – a word, place and chocolaterie’s name I still have trouble spelling to this day! Susan: there is NO best chocolate. Every country has someone – a chocolate master, maker or chocolatier making great chocolate, and it is all a situation of very personal taste. In my book, I am profiling the countries that are home to what are the best and most innovative chocolate makers IN MY OPINION. It is my goal to encourage readers to try different chocolate, to savour the flavour, and above all … to enjoy. OMG. Mendiants!! I’m a sweet milky choco kinda guy but I could go for a few of thsoe babies!! One question. Why are you here and not here? Hey, Mike! Once you develop your palate for good chocolate, you will never eat the sweet stuff again! It’s a slow process, just like developing your palate for fine wine, but boy … is it worth it! Do you mean why am I here in NA and not over in France? Well, it’s my job to eat chocolate around the world, so I’m always in search of amazing chocolate. Next trip up is Missouri in a couple of weeks. Really looking forward to that as there are amazing chocolate makers on both sides of the pond! Now I know what to ask Santa for Christmas…if only he were real though. Okay…time for me to look for some chocolate to munch on again. Thanks for joining the conversation, Liz and Adeline. Liz: Puyricard Signature does ship within Canada and the US. Check the link in the blog post. And Adeline: Be sure to tell Santa you want some of the good stuff! No more bargain brand chocolate for you! Hahaha!!! I’d love to get my hands on a basket full of tablea chocolate. It’s pure dark chocolate that they make here in the Philippines that they usually use for hot chocolate. Really good and yummy!!! Ah yes, Puyricard chocolate – still my favourite in all of Europe, even more than Suisse and Belgian chocolate. 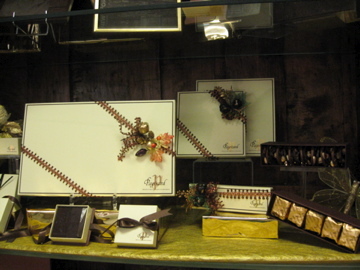 But I’m a bit bias, having lived close to the Puyricard “chocolaterie” and shopped there often. Thanks for the delicious reminder and article. Thanks for stopping in, Barb. Yes, I much prefer the pure style of chocolate making one finds in France, Italy and Spain as opposed to the smoother, more processed style you find in Belgium, Switzerland, Holland and Germany. But it’s all about personal taste, and just as with wine … there is no “best.” it’s all according to one’s personal preferences. 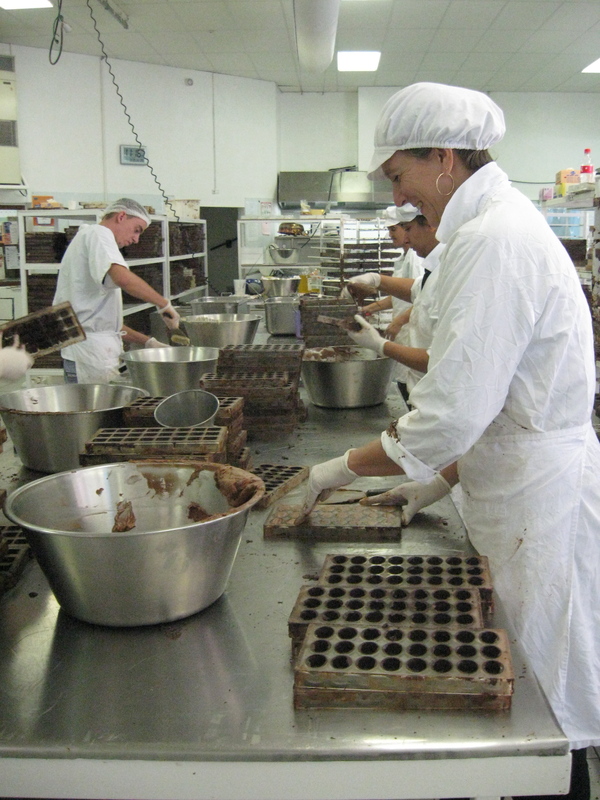 And that’s not to say that BE, SW, NL and GE don’t have amazing chocolatiers who are producing a less sweet chocolate, as they certainly do, and I’ve introduced readers to some of them in previous posts. Thanks again for introducing me to Puyricard. They are indeed one of the best! I have just gone through the signup process for Puyricard, and can’t wait to taste. How anyone can eat Hershey’s, I have no idea. Well, unless they were desperate (and after reading your post, I am. Must rummage through the fridge to see what I can find). Please join us over at http://diversionswithdoreen.com. Thanks! I’m really not supposed to want chocolate these days since I was diagnosed with diabetes, but I actually eat very little of it and crave it almost never. but they say dark chocolate is a “health food” and in moderation (or actually less than would be considered moderation), I think I might be allowed the occasional indulgence … and THIS would be worth it. Hi Suse: Yes, Puyricard chocolates are indeed wonderful. We are so very fortunate to have connected with them.